As any angler knows, fishing for saltwater fish is a great day out even if you don’t make a catch. In fact, recreational fishing is one of the most popular outdoor activities in the US. But if you’re constantly failing to land any fish, we know it can get frustrating. Sound familiar? Don’t worry, we’ve got you. 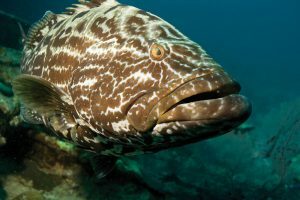 Here are the 10 mistakes to avoid when fishing for saltwater fish. Many anglers prefer live bait to catch saltwater fish as it doesn’t need to be constantly casted and reeled like artificial lures. However, live bait needs to be carefully selected and kept in the right conditions to get those fish to bite. 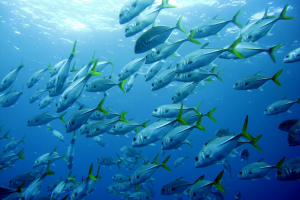 Healthy saltwater fish have their pick of the ocean, so they’re unlikely to be attracted to limp bait. Always look for healthy, fresh baits that are fully intact and responsive. Be sure to avoid any that are red or bloated. Never overfill your bait tank or livewell. 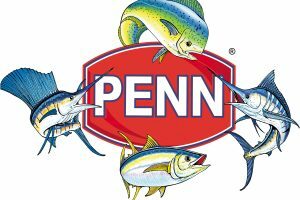 If you do, you’ll find that your carefully selected live bait have died before you’ve even cast off. And don’t make the mistake of applying sunscreen or insect repellent before you reach into the bait tank or you’ll contaminate the water and kill your bait. If you prefer fishing lures to catch fish, then you’ll know that these present their own challenges. The first of which is to know which lures are best for saltwater fishing depending on location, water clarity, depth, and temperature. But once you’ve got the hang of your lures and have a good selection built up, you’ll soon get the knack of casting and reeling them in no time. Keep your lures snag-free and you’ll be able to use them time and time again. A common mistake among anglers is to avoid cover such as docks and inlets for fear of snagging lures. However, many species of saltwater fish tend to hide in covered areas like these. This means that by avoiding them, you’re also avoiding a lot of potential catches. Perfect your technique for fishing around covered areas without snagging. Additionally, you’re far more likely to get a bite or two. Don’t ignore those signs that your equipment might need some attention. If your spinning wheel doesn’t quite turn freely or your drag occasionally gets stuck then you need to see to these issues right away. One of the most common mistakes among anglers is to use old worn out line and expect results. The fish might take the bait. However, without a strong line to reel it in, the opportunity will be wasted. Make sure that all your kit is in perfect condition and ready for your next trip out on the water. If you don’t, it’s likely to fail you at the worst possible moment. Even if your kit is all in perfect working order, you need to know what to use and when in order to get those fish to bite. As beginners will soon notice, there are variety of hooks in all shapes and sizes. You need to choose the size and design of your hook according to what you’re heading out to catch. The same goes for rods and reels. 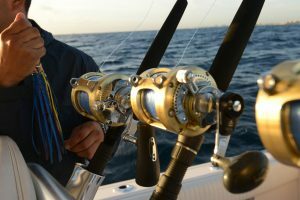 Some combinations of rods and reels don’t work so you need to make sure that they’re compatible. And not all rods and reels were made for every style of fishing. 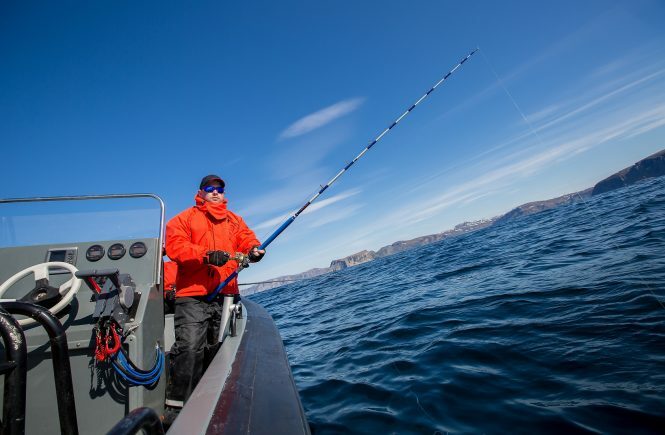 Check to see which rods and reels work best for the type of fishing you’re intending to do. 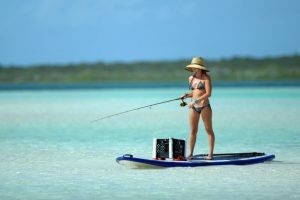 You might have the best rod and reel but without enough line, even the top equipment will be no match for the strength of saltwater fish. Despite recommendations on the reel about how much line you should spool before casting, many novices will try to use less line. 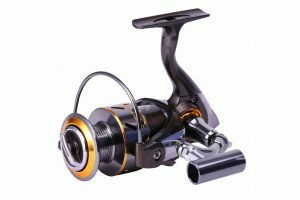 But an under-spooled reel will mean that you’re unable to fight against anything but the smallest fish. This means you’re likely to lose your line and the fish in the process. While we’re on the subject of lines, maintaining a taut fishing line is essential. 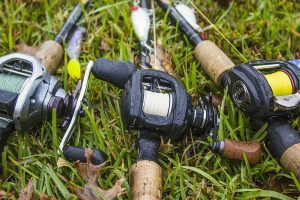 Amateur anglers will quickly learn how even a small amount of slack in the fishing line can ruin their chances of catching a fish. Slack lines can result in the fish snapping the line and swimming away. They could also try to escape and end up caught in a tangle of fishing line. Avoid these outcomes by keeping the line tight at all times when you land a fish. Also, make sure to keep the same bend in the rod, whether you’re pulling back or reeling down. 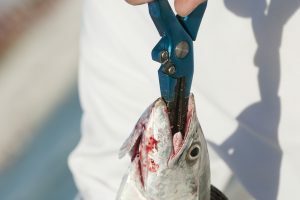 Badly tied or weak knots are a common reason for lost fish. If you’re in doubt, retie your knot and start again. And you should always use fishing knots with a high strength rating. It might not be easy to recognize the mistakes in your technique when you’re at the point of landing a fish. 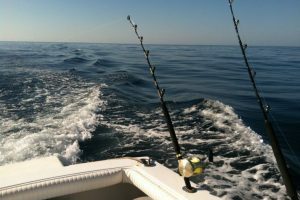 However, bad rod positioning is a common cause of broken rods when you’re fishing for saltwater fish off a boat. You’ll want to avoid this error. Many anglers will take the rod back behind them and just work the tip, reducing their leverage and increasing the struggle to catch the fish. You should always keep your rod in front of you. Keep an even amount of pressure on the fish during the battle. Even the most seasoned anglers should welcome advice from a fellow fisherman. Maybe they’ve noticed something about your technique that you weren’t aware of. Maybe they’re more familiar with the tides and weather around this particular spot. If you’re fishing in unfamiliar territory on vacation, then always listen to your guide or captain. Personal preferences will vary, but that doesn’t mean that you can’t learn something new. Don’t hesitate to get in touch with us if you’ve got any questions or comments about the mistakes to avoid when fishing for saltwater fish.